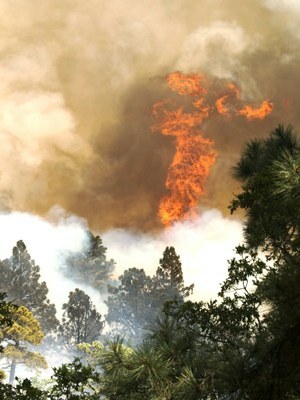 Information on Wildfires Anywhere in the U.S., including New Mexico: click here. Information Focused on New Mexico Wildfires: Information specifically focused on wildfires in New Mexico can be found here. Alerts: You can sign up to receive New Mexico State Forestry’s wildfire alert emails for timely updates about wildfires burning on state and private lands. Some county offices of homeland security and emergency management offer a free cell phone text alert service. Emergency Alerts from Nixle: Go to this link for emergency alerts delivered to your cell phone and email at no cost. Emergency Notification (reverse 911, CodeRED): Many communities and institutions have automated emergency notification systems that will send alerts to your cell phone. Contact your law enforcement agency to find out if a local system is available, and sign up if one is. NOAA Fire Detection Program: Analyzed fires and smoke from satellite. Smoke and your Health: The New Mexico Department of Health provides information to help protect your health from smoke during wildfire: click here. Planning for Wildfire: click here.